The best party favors are those your guests will enjoy long after the party is over. 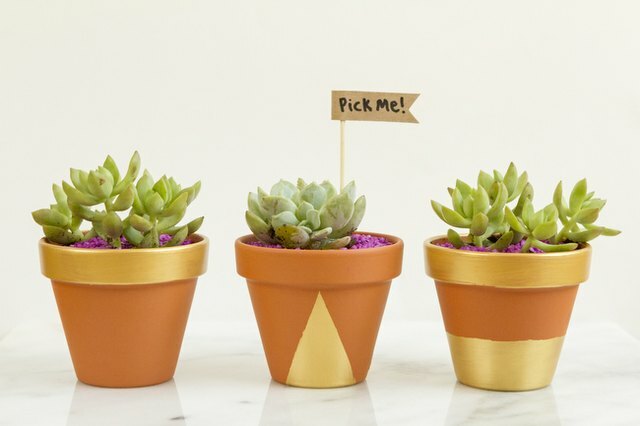 Rather than gifting something disposable, treat your guests to these mini-planter party favors. 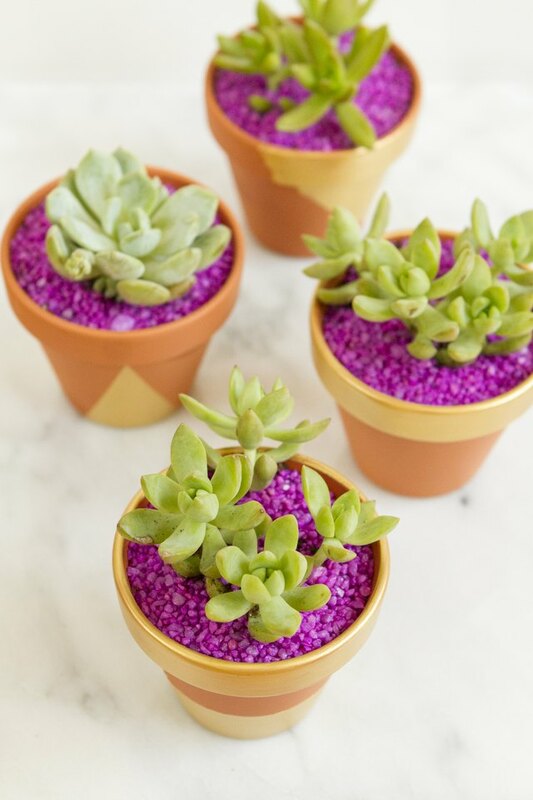 Made using four-inch pots, they are the perfect size and everyone will be delighted by these cute, colorful planters. 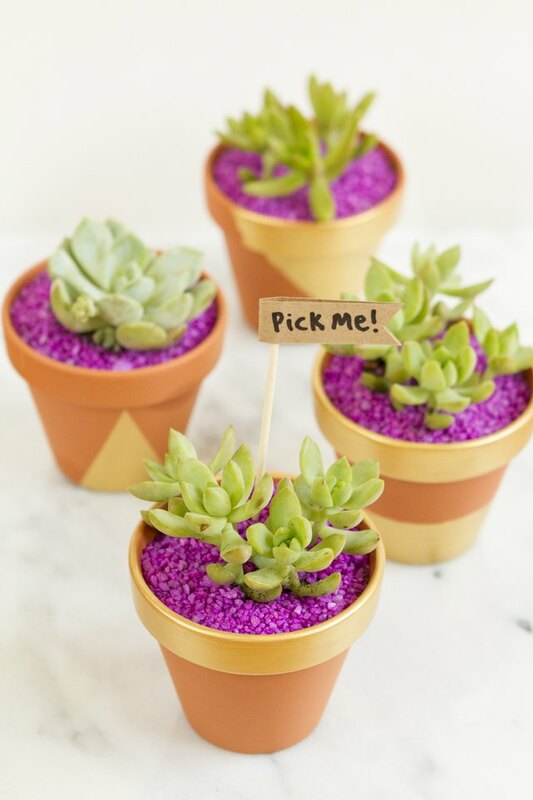 You can even use these succulents as party decor before your guests take them home. 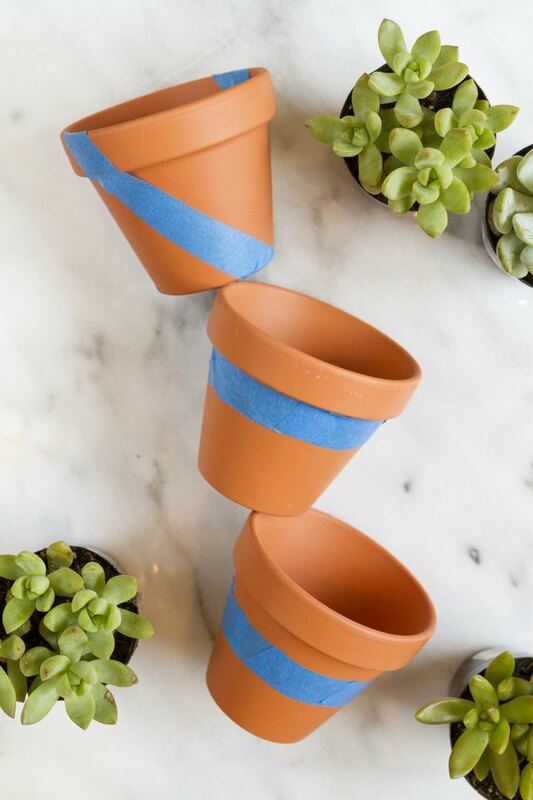 Begin by covering your pots with painters tape. Create different designs by blocking off areas of the pots. It's nice to provide several differently patterned pots for your guests to choose from. Next, paint your pots using either spray paint or a pot of paint and a brush. If your pots are going to be outside or on a porch, make sure to use outdoor paint that will not fade in sunlight. 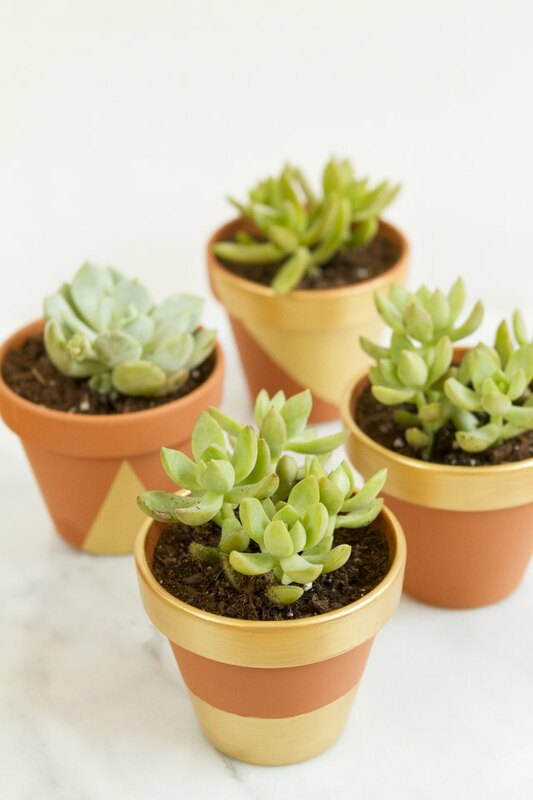 Once your pots are fully dried, plant your succulents. 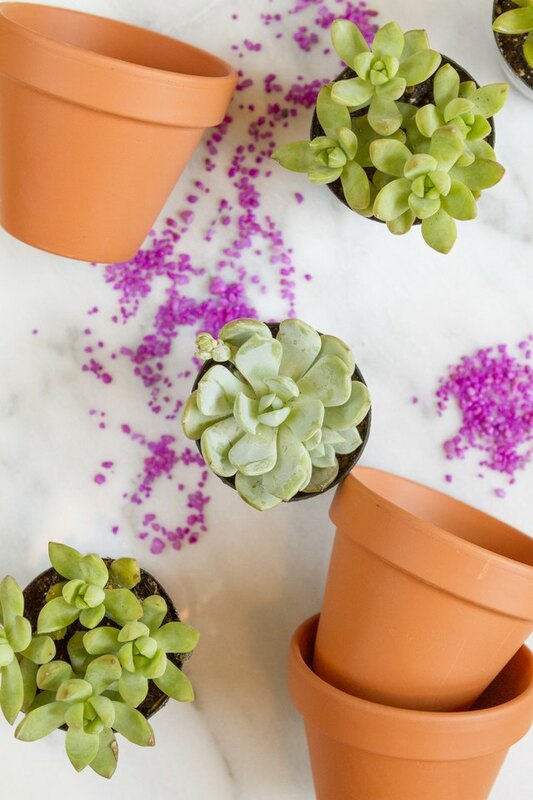 Succulents are the perfect plant to give as a gift, as they are some of the easiest plants to take care of and require a minimal amount of watering. 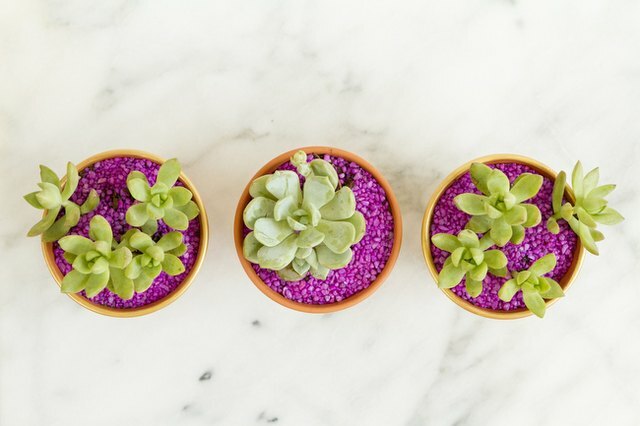 Add a bit of fun to your pots by layering colorful rocks over the exposed soil. Aquarium rocks come in a variety of colors and are an economical choice. Choose a bold color that contrasts with the paint for a bright pop! Gently cover the exposed soil with the aquarium rocks. Finish off your gift planters with a fun gift tag or flag. Using a bamboo stick, paper and a sharpie marker, you can easily create a sweet, handwritten note. 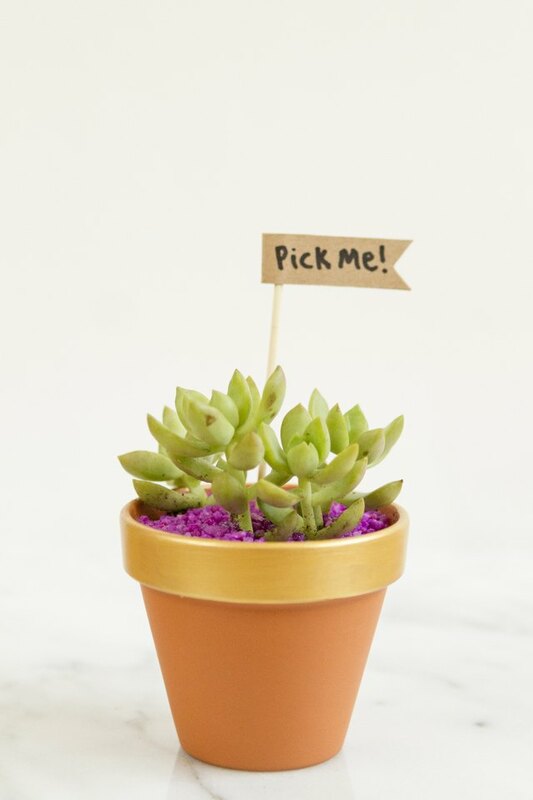 Anything from "thank you" to "pick me" to watering instructions works great!